This kit allows steering of an auxiliary 9.9/15 Evinrude® or Johnson® 1993 (ET) and newer two-stroke motor or a 9.9/15 1995 (EO) and newer four-stroke motor using the boat steering system. 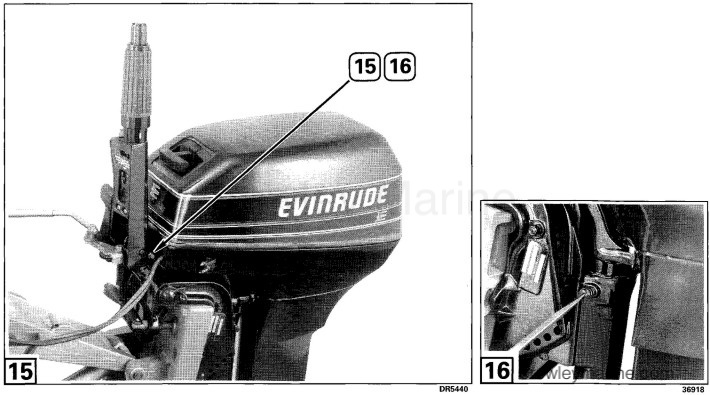 The centerline between the main power and the auxiliary motor must be 29 to 37 in. (74 to 94 cm). The auxiliary motor must be port mounted using the appropriate auxiliary motor bracket and steering connector with a NMMA certified motor mounted steering system. Remove connector rod locknut (A) and washers (B). Discard locknut. Slide adapter onto steering cable ram with its flat side on top. Insert steering connector rod through adapter and steering cable ram. Place the two washers (B) removed from steering connector rod and new locknut (7) supplied on bottom of rod. Tighten nut fully, then back it off 1/16 turn. NOTE: Steering connector rod must be completely down in adapter before tightening nut. Lift steering handle of auxiliary motor to full vertical position. 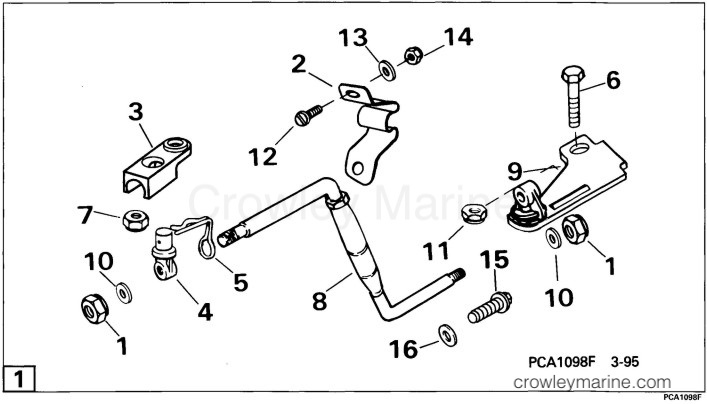 Install pivot pin and bracket assembly (9) to steering bracket of motor using screw (6) and locknut (11). Orientate screw (6) and locknut (11) as shown. Tighten screw securely. Install loop of retainer (5) on threaded end of connector and tie bar assembly (8) with clip end of retainer facing away from nut (A). Install pivot pin (4), one washer (10), and locknut (1) on end of connector and tie bar assembly. Tighten locknut fully, then back it off 1/16 turn. NOTE: Pivot pin must be free to rotate on tie bar. Install other end of connector and tie bar assembly into hole of pivot pin. Use remaining washer (10) and locknut (1), fully tighten locknut, then back it off 1/16 turn. NOTE: Tie bar must be free to rotate. Position the main motor in straight-ahead position. With auxiliary motor bracket in full down position. place the auxiliary motor in straight-ahead position. Adjust end of tie bar (B) to fit pivot pin into steering adapter. Pin must enter from the bottom and retainer must be installed through hole in pivot pin. Both ends of connector and tie bar assembly must be parallel. NOTE: Proper alignment is critical to performance. After final adjustment of connector and tie bar assembly, verify that ends of assembly are parallel to each other with both motors facing straight ahead. Tighten locknut securely while steering bar is installed. Disconnect tie bar from steering adapter. Position tie bar so it is along side of lower motor cover of auxiliary motor and underneath shift lever. Snap clip (2) onto the tie bar, then position it flush against the lower motor cover. IMPORTANT: Before drilling the clip mounting holes, make sure the clip's mounting screws and nuts will not interfere with the remote control cables inside the lower motor cover. Mark location of mounting holes and center punch holes. Drill holes using 3/16 in. drill bit. Install screws (12), clip, washers (13), and locknuts (14); tighten securely. With auxiliary motor bracket lowered and tie bar attached in operating position, turn main motor full starboard to full port (lock to lock), to ensure no interference of tie bar with any portions of boat or hardware. NOTE: Tie bar can only be connected when the auxiliary motor bracket is in the fully lowered position. During operation of main motor, storage, or trailering, always disconnect tie bar from main motor and store tie bar in mounting clip on auxiliary motor. Steering control may be affected if tie bar is not disconnected before using main motor. 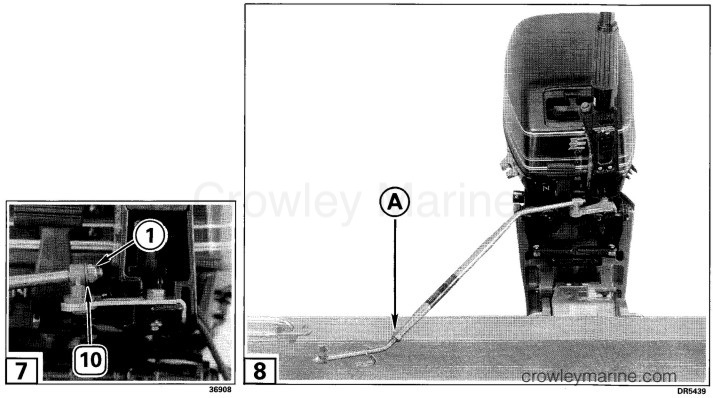 When motor is connected to the main motor's steering system, the tiller handle must be locked UP, using the screw provided. If the handle should drop DOWN, it could interfere with the motor tilting and turning. Raise tiller handle UP to expose the threaded hole in the steering arm. Install steering arm screw (15) and washer (16). Tighten screw securely. 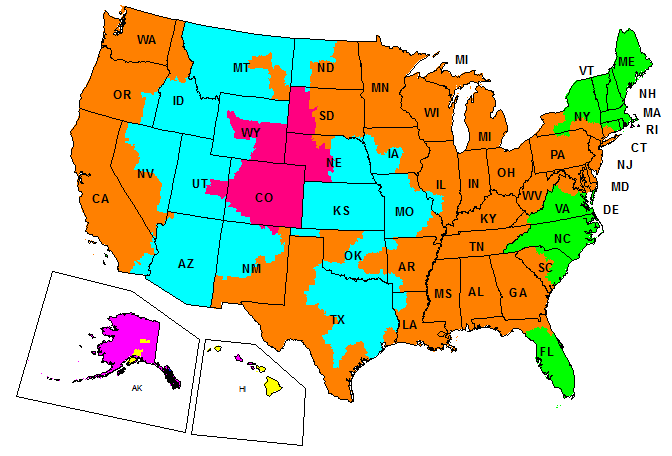 Release the steering friction when motor is connected to a remote steering system. Loosen steering friction screw just enough to allow the motor to turn freely.